Does the thought of working until you’re 65 make you sick? If so, you’re not alone! More and more people have been discovering that it’s not only possible to retire early but that it’s what they want to do with their lives. I’ve found myself in that camp as well. Saving for child’s education is a noble feat and a great option for your money if you have all of your other ducks in a row. The first day of spring is two weeks away. Shortly after spring sets in schools across the country will be letting out for spring break. If you’ve decided to take a little family getaway this spring or summer there are inexpensive ways to do so. 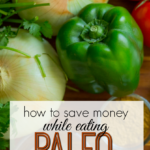 I started eating a Paleo diet a little over a year ago. While it was hard for me to give up my regular diet of processed food and Pepsi at first I noticed great changes in my energy levels and body just a couple weeks after getting started. I’ve come to the conclusion that for most people getting started with an online business or working from home is overwhelming. I can totally relate. Just like with anything else working from home or starting an online business has its own set of pros and cons. 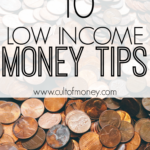 Improving your financial situation while living on a low income is not easy. It’s hard. Like, really hard. But it can be done. Monday marked the day the IRS officially started accepting returns for 2016 taxes. 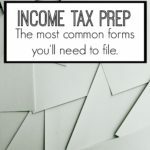 While most are still waiting on those final tax forms to trickle in, it’s possible that you have everything you need to file now. This is especially true if you have a simple tax situation.